Several hundred students and faculty members from health and related fields are expected to work together on the case of a hypothetical patient as part of an exercise to build interdisciplinary awareness and skills. The Interprofessional Education Case Collaboration Event on Nov. 4 is expected to draw as many as 200 students and 20 faculty members in medicine, nursing, physical therapy, pharmacy, mental health counseling, dietetics and social work from Wright State University, the University of Dayton and Cedarville University. The event was organized by the Dayton-area Interprofessional Education Consortium, which works to connect the region’s interprofessional health community. It is the organization’s third such event and features the addition of social work students and faculty as well as a format change. Poling was a part of an interprofessional education consortium when she worked at Purdue University. She viewed it as exceedingly beneficial since it enabled several multidiscipline, multi-institutional health care programs to work together. That inspired her to initiate a similar effort in Dayton, with Wright State taking the lead. 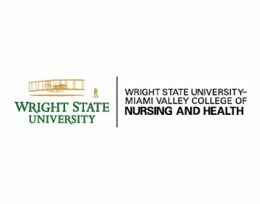 Her goal is that Wright State will become a pioneer in interprofessional education. The Nov. 4 event will be held from noon to 6 p.m. at the University of Dayton’s Daniel J. Curran Place, 1700 South Patterson Blvd.